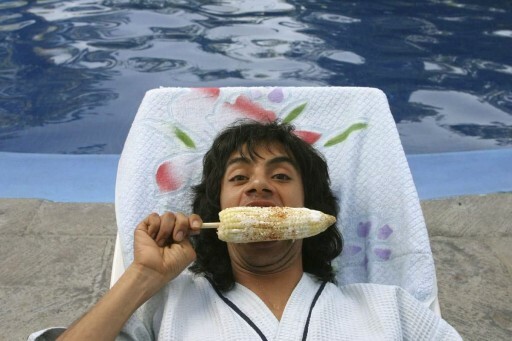 It all started many moons ago after watching Nacho Libre and hearing the one liners like “Save me a piece of that corn for later!” or “get that corn outta my face!” They made that corn on the cob look so GOOD I had to have it! 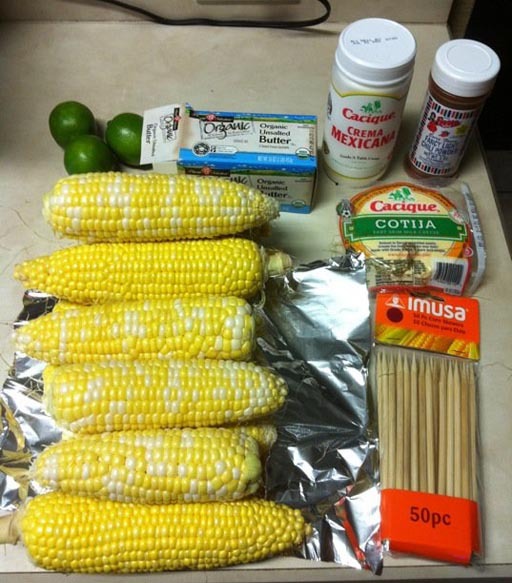 So the quest began to find this elusive corn on the cob creation. 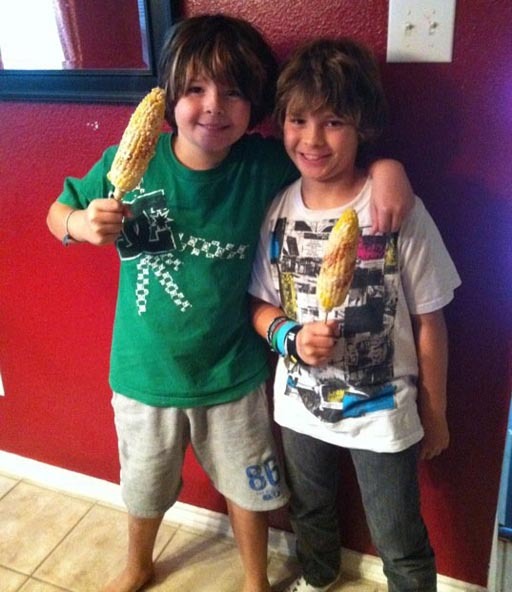 Flash forward to 2010 I am taking the family to the local city festival and there is a vendor grilling corn on the cob just like I dreamed it would be! What a pleasant surprise for the entire family! So last night I hear the festival is in town again and why do I talk everyone into going last night? Was it the great carnival rides? Maybe the interesting carnival people who manage the games? or was it the thoughts of getting some more of that amazing corn on a stick! YES!! So I search high and low but no one has seen someone selling corn this year! What! Why even have a festival without corn on a stick! You can imagine my disappointment! So I decided to finally figure out how to make it for myself. the recipe called for Mayo but I substituted light Crema Mexicana! Side Note: You will notice in all my future cooking escapades that I am very conscientious to buy as much organic products as possible and cook with the least amount of salt. Here are a couple of my satisfied customers! ENJOY! 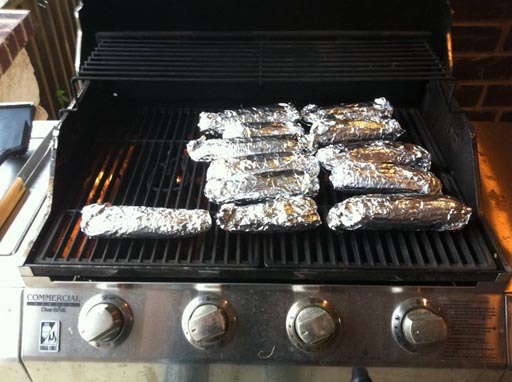 Just wondering – and it may sound like a dumb question….how did you get the stick in the cob? Thanks.